ARL Literary Services was conceptualised two years back with a noble intention or with an intent to render various literary services to novae writers to make their mark in the literary field, help aspiring writers to make a niche for themselves in the galaxy of talented authors. ARL offers excellent services to aspiring authentic writers to provide platform to make an indelible mark in the writing world. The services are at par with international publishing standards with an intent to help writers and not just to make business ventures. If you are looking for a one stop solution to book publishing and marketing then your search ends here….ARL Literary services. It is a genuine platform for the debut writers as well as established ones in case anything regarding the field of publishing business a concern. 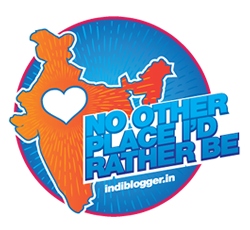 Reviews promos interviews marketing launches…..you name it snd these people have it. They even have something very interesting called ARL LITERARY AWARDS which was started in order to support and appreciate Indian literature. A novel thought with true intentions. Congratulations for the great work and good luck for future. I have worked with ARL on many projects, and I’m confident enough that ARL has manners, punctuality, hardworking and understanding. It’s easy to work with the team. Ayushi is doing her bit for the literary stratosphere in the best possible way. Her approach to everything is inspiring! It was a heart warming journey for me to be associated with ARL. The review of my 2 books was awesome. I would recommend Ayushi A Nair to everyone. The blogs are very interesting for reading. Keep up your work and I wish her all the best with new venture. © 2019 Ashirespondingtolife. All Rights Reserved.